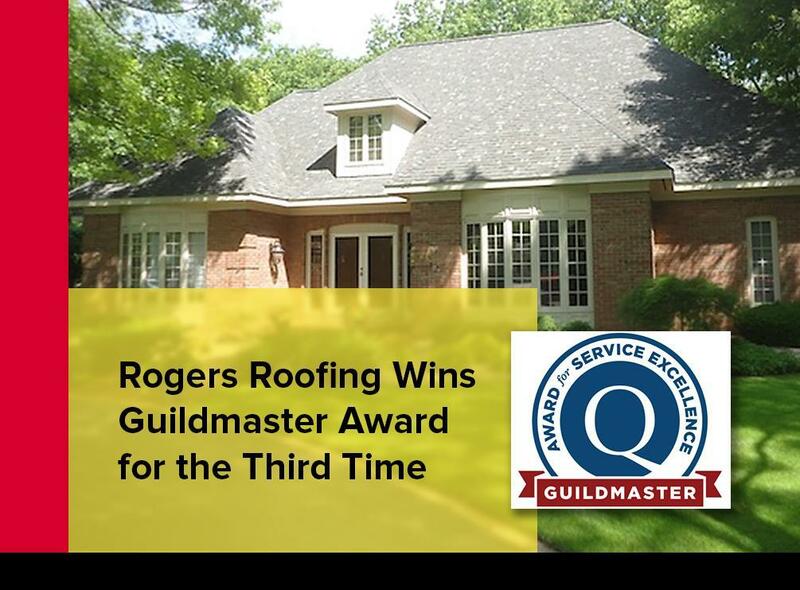 At Rogers Roofing, we couldn’t be happier when we received our third Guildmaster Award from GuildQuality earlier this year, an achievement few roofers can claim. We’re excited to share how we became a multi-year recipient of the Guildmaster award. GuildQuality is a nationally-recognized organization whose mission is to elevate the building and home improvement industries to a level proportionate to its importance. Their independently-conducted customer satisfaction surveys provide an honest and unbiased result, and their GuildQuality Guildmaster Awards is a celebration of excellent customer service among builders, remodelers, property managers, and real estate professionals. Have a minimum recommendation rate – Exceptional customer service is the primary requirement for the award, therefore a contractor must have at least 90% recommendation rate; for reference, the roofing industry average is approximately at 70%. High survey response rate – All homeowners who have worked with a contractor within the same year is surveyed. The metrics are unique in this aspect in that the number of survey respondents is also considered. Contractors who have less than 20 jobs a year must have at least 70% response rate, which increases as the contractor’s number of survey respondents increase. Active membership – The company has to be a Guildmember in good standing at the time of nomination and through the public review period. Rogers Roofing has been a Guildmember since 2013 and has won the Guildmaster Award in 2014, 2015, and 2017. Rogers Roofing was founded in 1968, and have stayed in business since then because we believe that providing top-notch service to our clients is as important as providing superior materials and exceptional warranties. It may be old-fashioned, but it still works, as many of our repeat clients will attest to. We have since received awards from other industry leaders: Remodeling Magazine’s Big50 Award, which has received coverage in several local newspapers; the Angie’s List Super Service Award, which we have received for four years straight from 2011 to 2015, and of course, our current A Better Business Bureau (BBB) rating. Ultimately, it is you, the client, who benefit from our commitment to excellent customer service, no matter how difficult your roofing, siding, or replacement window needs are. To know more about our services, call us today at (219) 228-8210 (Indiana) and (773) 492-2270 (Illinois). You can also fill out our contact form to schedule your free estimate. Rogers Roofing serves Orland Park, IL and nearby areas in Northwest Indiana, including Crown Point, IN.